China’s central government has rejected a plan by Hong Kong leader Carrie Lam Cheng Yuet-ngor to tighten the city’s anti-corruption laws and ensure that all gifts and benefits offered to the chief executive are graft-free. Beijing found the idea of amending the existing law for this reason unacceptable, a source familiar with the central government’s thinking on the matter told the Post. “Beijing’s position is that the chief executive is appointed by the central government,” the source said. “It can’t accept the move to enact local legislation to establish a committee to grant approval for the acceptance of advantages by the chief executive.”Beijing was also worried that the city’s top official could become susceptible to politically motivated accusations of flouting the anti-graft law, the source added. Lam promised Hongkongers before being elected in 2017 that she would strengthen corruption laws to combat possible graft by a chief executive. In her election platform and again during her maiden policy address, she vowed to revise Sections 3 and 8 of the Prevention of Bribery Ordinance, which govern the conduct of ministers and civil servants but exempt the chief executive. The Post understands that a few months after taking office in July 2017, she shared her plan with central government officials overseeing Hong Kong. She was subsequently informed that Beijing was against the idea. 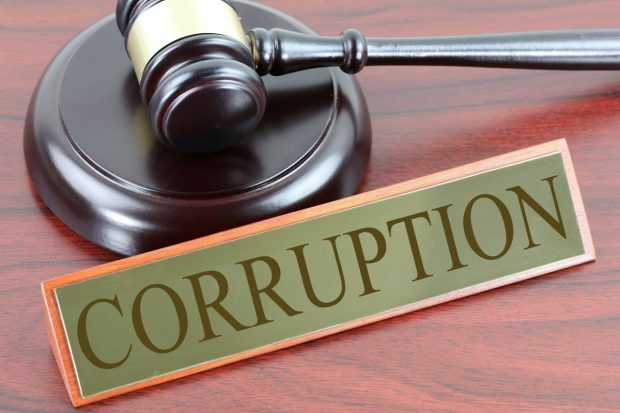 Calls to plug the gap in the city’s anti-corruption laws first emerged in 2012, when then chief executive Donald Tsang Yam-kuen was accused of accepting bribes from a businessman. Asked about the matter, a spokesman for Lam’s office said on Tuesday: “We are not in a position to disclose the chief executive’s communication with the central government.” Officially, however, her plan to amend the law is not dead yet. A spokesman for the administration wing of the Hong Kong government, which coordinates the government’s dealings with the legislature and the judiciary, said the proposal was being studied closely. Amending the two sections of the Prevention of Bribery Ordinance to cover the chief executive would have implications for the political structure of the Hong Kong special administrative region and the chief executive’s constitutional status under the Basic Law, the city’s mini-constitution, the spokesman said. “As the study is still in progress, the government does not have a specific date for introducing the amendment bill to Legco,” the spokesman said. Replying to a lawmaker’s question on January 23, Chief Secretary Matthew Cheung Kin-chung said the government would report the findings of its study to Legco as soon as possible. A senior lawyer familiar with the city’s anti-corruption laws said there were ways to resolve the impasse. One way would be to have Beijing appoint the members of the independent committee nominated by the chief justice and Legco president. “It could highlight the central government’s authority over Hong Kong,” the lawyer said. Alternatively, the lawyer added, the committee could comprise Hongkongers trusted by Beijing, such as the vice-chairmen of the Chinese People’s Political Consultative Conference and members of the National People’s Congress Standing Committee.